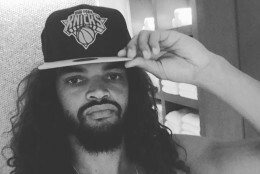 The Knicks are trying to build around Carmelo Anthony's final prime years and with a very good move in bringing in Derrick Rose, the Knicks just added his good friend, and hometown Knicks fan, Joakim Noah for 4 years and 70 million. Noah is coming off of an injured plagued season, but no one can knock the passion and hustle and his knack for being a great defender. He is the ultimate locker room guy and is an upgrade at center over Robin Lopez. - extremely volatile! His passion and energy is amazing when going after loose balls and offensive rebounds and amazing block shots, but it will earn him technical after technical foul and cost his them momentum and even ejections. I actually wanted Mozgov because he would provide the same type of numbers minus the negatives but the Lakers decided to destroy the balance of contracts and sign him to a four-year deal worth 60 million! Knicks are in on SG Eric Gordon. Super talented and good friend of Derrick Rose ( notice a trend here? ) and very good shooter and scorer. He also is injury prone and we can end up with Rose, Noah and Gordon all on IR by Christmas...ugh.